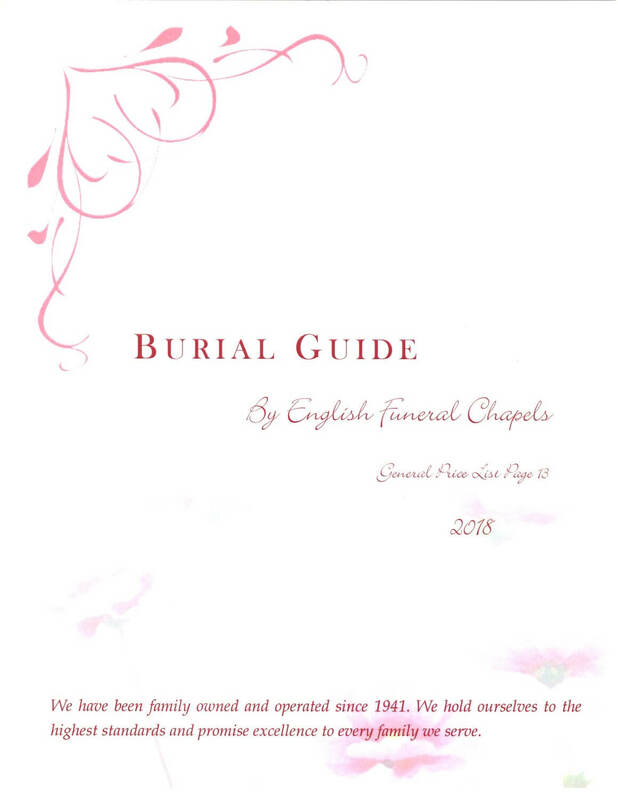 At English Funeral Chapel, we are committed to providing products and services that are the best quality and then offering them at the best value. Our burial and cremation packages are offered to help with planning a personalized tribute to honor your loved one. The package pricing is transparent, easy to understand and reflective of the benefits and value delivered. They include items client families have found to be meaningful; each package can be tailored to suit your personal preferences or budget. We have always believed that everyone should have the opportunity to compare quality and pricing. We are the only funeral home in our area that provides our prices online. It is the best way that folks can make a well informed decision. In fact, we encourage everyone to compare value and pricing before making a decision. There will be a difference in pricing from one firm to another, but the prices and packages vary based on the products and services being offered. It’s important to keep in mind that the lowest price isn’t always the best way go – and just because something costs a lot doesn’t mean it is the best either. Choosing Cremation does not diminish the value of someone's life. Cremation, like burial, is simply the disposition of the physical body of the deceased. It does not preclude you from having a gathering of remembrance or creating a permanent memorial - in a cemetery, columbarium, or memorial garden - that can be visited regularly by family and friends. In fact, cremation creates many more different and unique options, than burial does, to honor the individual and their life. A wide variety of caskets, in many price ranges, are available at the funeral home. 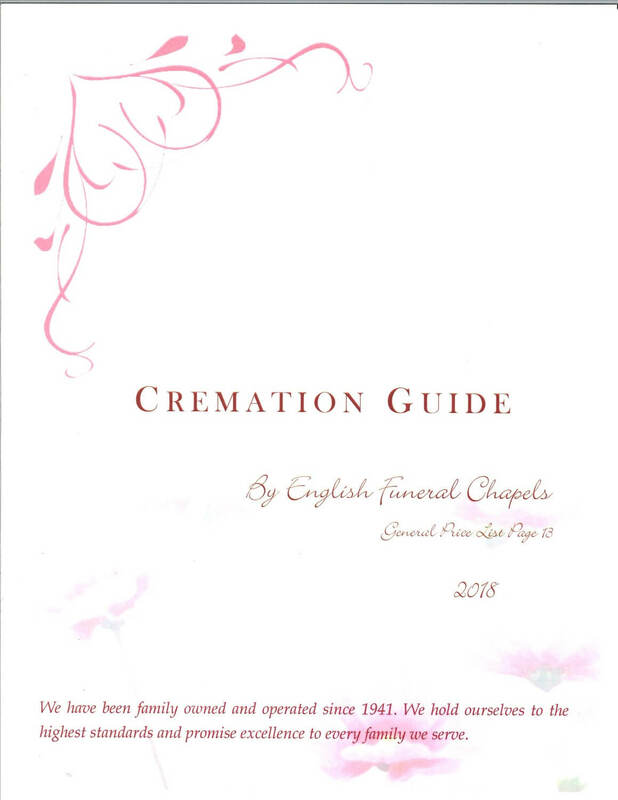 You can rely upon English Funeral Chapel as an invaluable source to provide you with all the information you need to make a selection. Our collection includes handsomely-appointed wood caskets and metal caskets. 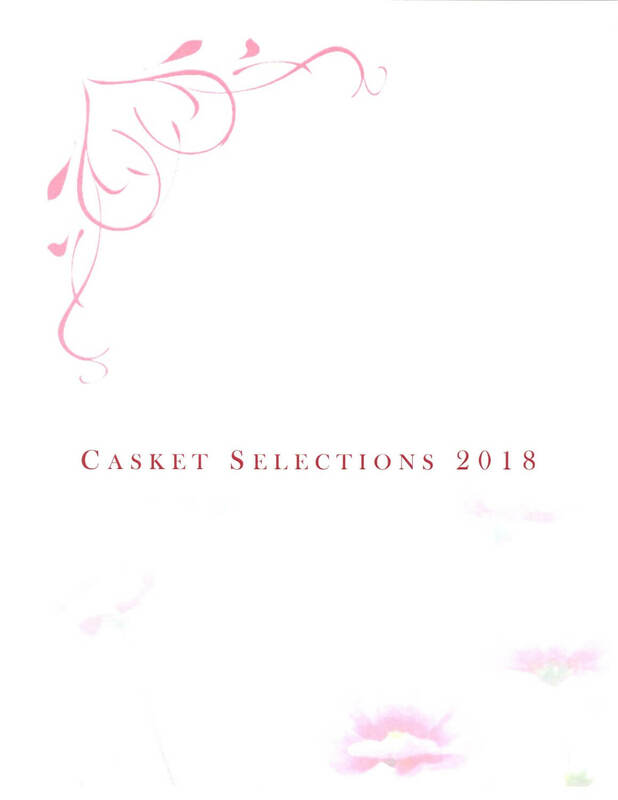 Browse our catalog and if you would like to speak with one of our staff members about your options, please call us at (208) 664-3143 or (208) 773-3425. Keep the fingerprint of someone you love with you always. 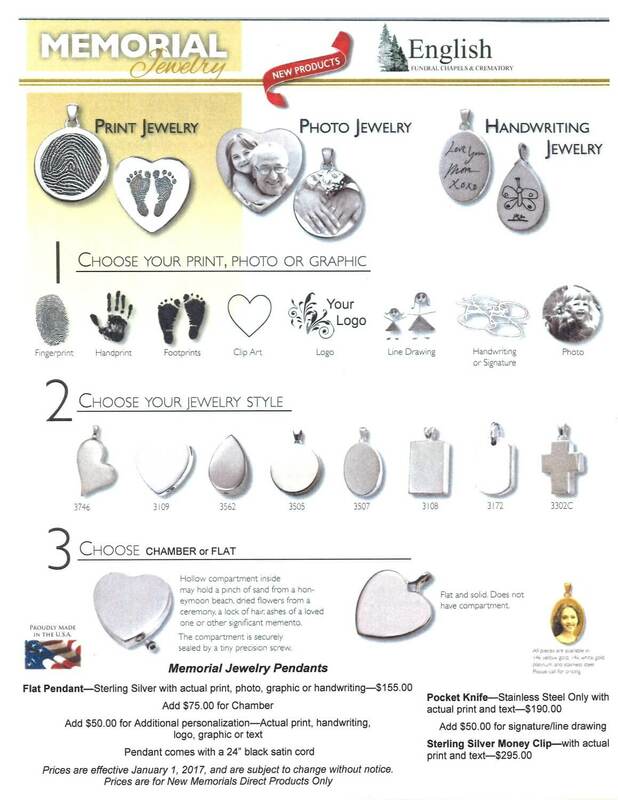 We offer lots of different fingerprint jewelry options, including yin-yang his/hers prints, fingerprints with initials in the center, partial print with letter engraving. The possibilities are endless.